The name Dulong is believed to be an Aboriginal word meaning mud or wet clay. Dulong Provisional School opened on 8 July 1895, becoming Dulong State School on 1 January 1909. It closed due to local attendances in 1929 but reopened in 1930. It closed permanently in 1967. 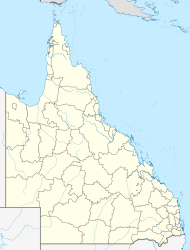 ^ a b "Dulong - locality in Sunshine Coast Region (entry 48612)". Queensland Place Names. Queensland Government. Retrieved 12 September 2017. This page was last edited on 4 January 2019, at 13:36 (UTC).